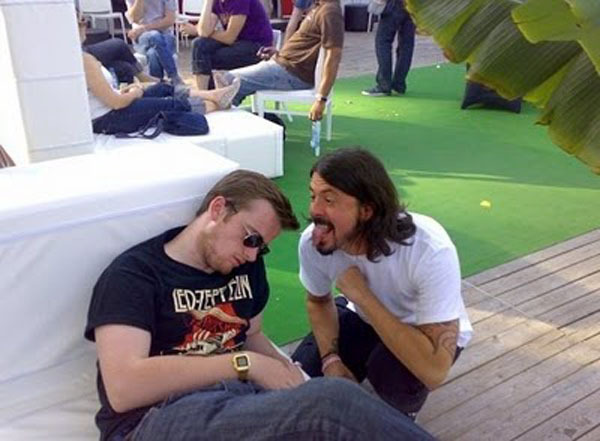 Apparently, guy gets backstage passes to TCV show, then passes out - just in time for JPJ and Dave Grohl both to happen upon him unconscious and get photos with him passed out. After a little research, some of the comments at the end of the page linked below indicate this is actually Sam Doyle, drummer for The Maccabees (?). He's probably just tired and needed some zzzzzzz's. 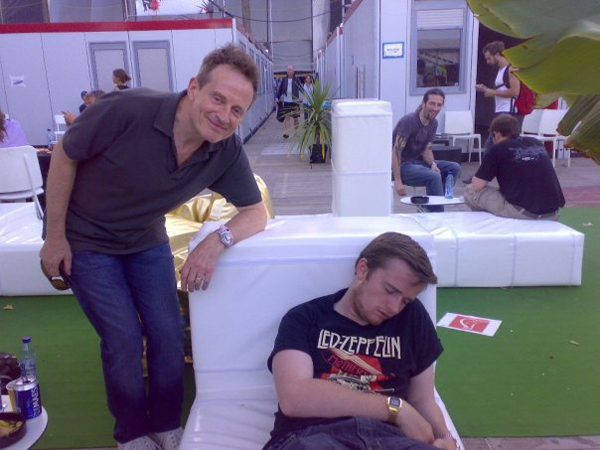 I'm sure I've seen pics of that guy asleep before too,I did a quick search yesterday but couldn't find anymore.